If your PC is infected with My Security Engine use MBAM to remove the infection. If your PC is infected with AntiSpyware Soft use MBAM to remove the infection. Like the fake security applications, this malware displays warning messages. This time it is not about Viruses, but illegal content material found on the system. will help cleaning the computer. To remove this fake Copyright Violation alert, use MBAM. Digital Protection is a fake security application. This rogue prevents legit softwares execution, displays fake alerts and warning messages. 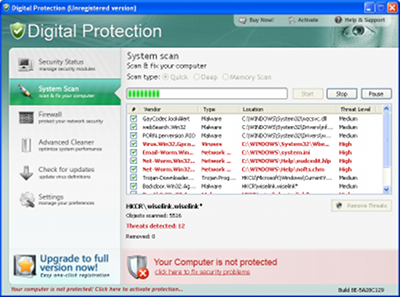 Digital Protection also detects non existent infections to scare users. It is from the CoreGuard family (Your Protection, User Protection, Dr. Guard, Paladin Antivirus clone). If your PC is infected with Digital Protection use MBAM to remove the infection. User Antivirus 2010 is a fake security application made by a script kiddie lamer (the same as New Antivirus 2010). Promoted via Youtube, the fake tool is coded with .NET and still has a bogged interface. 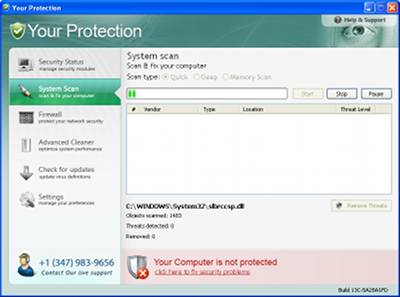 If your PC is infected with User Antivirus 2010 use MBAM to remove the infection. New Antivirus 2010 is a fake security application made by a script kiddie lamer. Promoted via Youtube and hosted on a free hosting service, the fake tool is coded with .NET and has a bogged interface. There's no way to register New Antivirus 2010, there's no registration code behind the "Activate" button. It always points to the same message: Registration failed! 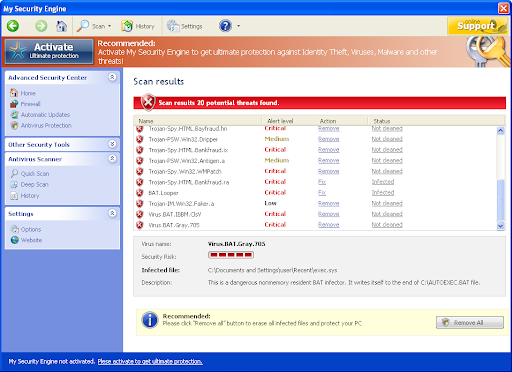 If your PC is infected with New Antivirus 2010 use MBAM to remove the infection. Your Protection is a fake security application. This rogue prevents legit softwares execution, displays fake alerts and warning messages. Your Protection also detects non existent infections to scare users. It is from the CoreGuard family (User Protection, Dr. Guard, Paladin Antivirus clone).